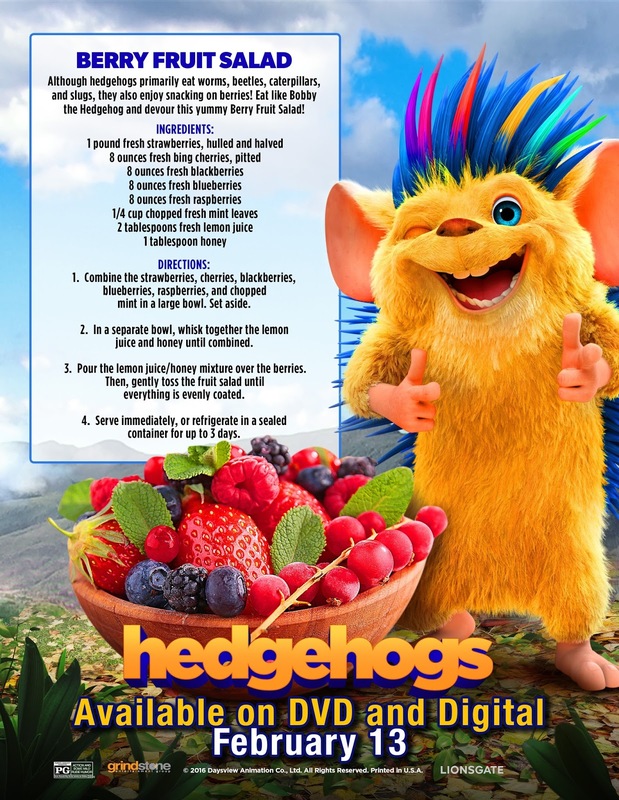 Out now on DVD and digital is the animated family adventure Hedgehogs from LIONSGATE. Awarded the Dove seal of approval, Hedgehogs follows a mischievous hedgehog named Bobby and a featherbrained pigeon name Hubert on a wild, unpredictable journey until they find themselves in the big city, where stressed-out humans are losing their minds. Bobby and Hubert must calm the nervous citizens by being there cute, cuddly selves. The two unlikely friends must work together to avoid human capture and a run-in with an evil Fox name Maddox. 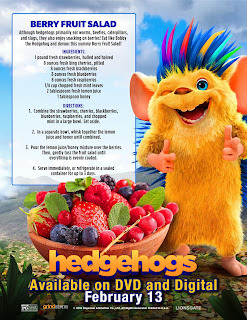 Hedgehog includes the cast of Anthony Padilla (Web and TV’s Smosh), Ian Hecox (Web and TV’s Smoosh), Jen McAllister (The Angry Birds Movie), Jon Heder (Napoleon Dynamite), and Chevy Chase (Funny Farm). DVD Special Features -“Bringing the Characters to Life: At the Recording Studio with Anthony Padilla and Ian Hecox (Creators of Smosh), Jon Heder, and Jenn @jennxpenn’ McAllister” Featurette, and Trailer Gallery. My Opinion: This is a cute family film and a laugh for the whole family where you will enjoy the adventures of a hedgehog determined to save his home at any cost with unlucky friends along the way. I enjoyed it very much and I also had a great laugh.